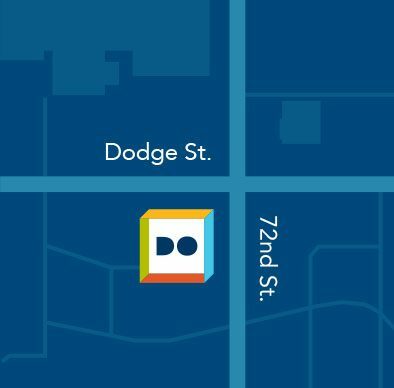 Do Space provides a variety of printers, copiers, and scanners for use by members to meet their needs. There are basic charges for printing services. You may pay for prints using cash, credit or debit cards. Cost for printing is $0.15/page for black and white and $0.30/page for color. Do Space now has the ability for you to print wirelessly from all mobile devices, including laptops, tablets, and smartphones. You can submit print jobs from home or from within Do Space. Select the appropriate printer for your job. Locate and select the document that you would like to print. If printing from a website, copy and paste the website’s URL address into the text box. If printing a document from your computer, click Browse and locate the file. Click the green print button. 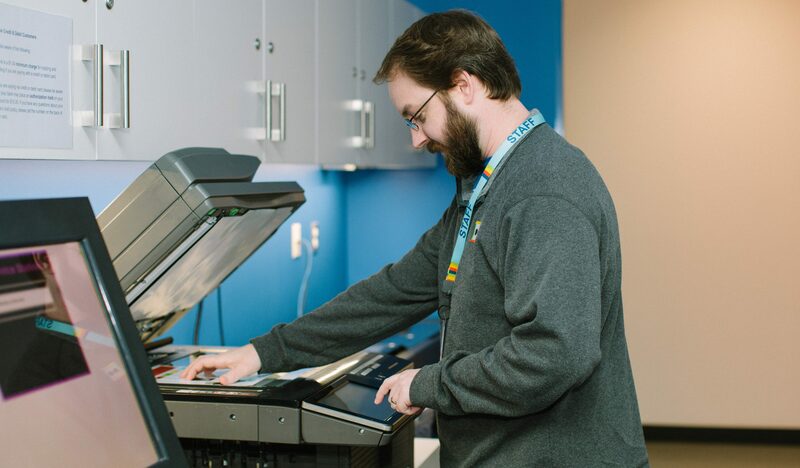 This will send your print job to the Self-Service Kiosk located by the Tech Help Desk. Your print job will be uploaded and spooled. After a few moments, you’ll be told that your print has been added to the queue. Members may scan documents to a PDF for free. We ask that members wishing to scan many pages should limit their scanning sessions to no longer than five minutes at a time when others are waiting to print their documents. Do Space has a large-format printer available for member use that will print in full color up to 36” wide. Cost for large-format printing is $4.00 per linear foot. Wide-format printing is not available wirelessly. Do Space staff reserve the right to ask anyone to stop using Do Space technology for any reason, including any violation(s) of Do Space policies.